If you have been toying with the idea of buying the best USB microphone, you may find yourself boggled down by the plethora of options available. Too many confusing terms and each USB microphone seems to be better than the other, doesn’t it? Plus, referring to multiple sites or places for reviews leaves you quite exhausted, is that so? 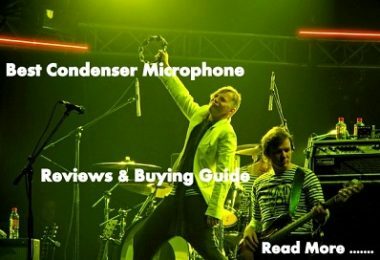 We have tried to make things easier for you by collating a guide with detailed product reviews on some value-for-money and cheap USB microphone products available in the market. These can help you make the right choice for the best USB microphone as per your needs and budget. There are many guides for best USB microphone 2016. We have collated one for the latest available best USB microphones in 2017.Before you decide what microphone to buy, you must understand some parameters that can help you understand the type of USB microphone that will suit your requirements. When Can We Say that a Microphone is Stable? A microphone is said to be stable if it has perfect data even after being exposed to extreme conditions of temperature, humidity, aging and dust as well? This is possible when the right materials components and technology combine to give a robust product. For instance, materials that expand and contract together are stable towards environmental extremes. These are used as cartridges’ diaphragm and the housing materials. For instance, pressure microphones have nickel foil diaphragms, and German alloy is good for housing. Pressure gradient microphones need soft diaphragms such as PVDF plastic with an aluminum coating for humidity resistance. The tensions in the materials used are released for higher stability. This is done via the pre-ageing process, a testing where the microphone capsules in the manufacturers’ labs are placed under high temperature, humidity conditions to validate how they hold up. The design also needs to finely balance the low amplification noise levels to minimize the feedback loops, such that the microphone is stable under thermal extremes. This is done by increasing the polarization voltage on the back plate, enabling the use of unity gain amplifiers for higher stability. For dust protection, a net is placed between the back port and protection grid. How Can We Test the Performance of a Microphone? Claims by any manufacturer about the best USB microphone needs to be validated by thorough performance tests that the product must undergo. These tests are usually conducted to compare the readings against well-known standards of measurement microphones. The test is simple and intuitive. You need to place the microphone under test close to the reference microphone. 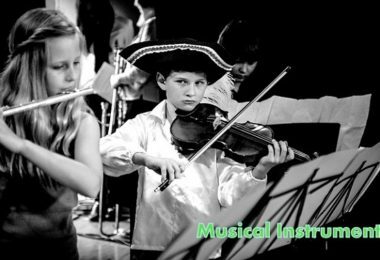 Both voice and musical instruments must be used as sound sources to ascertain its versatility across a range of sound types. 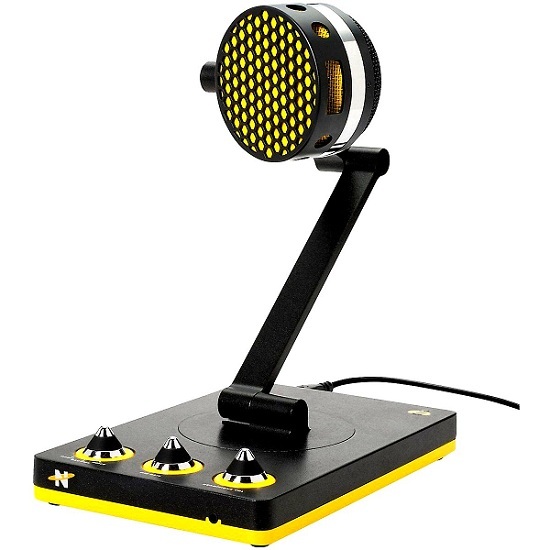 The test can be started around 1 ft. away from the axis of the microphone. Coloration checks must be checked off-axis, such as 45 degrees to the side and then 45 degrees up. Test at a place close by and at a distance as well for pop-noise and the proximity-effect as well as ambience-test. Finally, test at 180 degrees at a distance for validation if rear attenuation and/ or coloration. One can check the manufacture’s product description and validate the performance of the product by customizing the test based on the listed specifications. 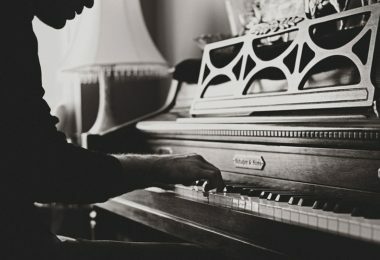 Using vocals like speech and singing, and multiple instruments like guitar, percussion, piano and wind instruments shall ensure a wide spectrum of sounds. 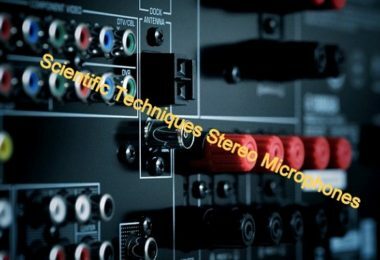 One must eliminate noise levels by checking the adjustment of sensitivity on both the reference and under-test microphones. Back-loops can be tested by singing directly into the microphone from behind. Shouting into the microphone from a close distance is a good performance indicator. This is an offering for the best USB studio microphone for professional use, as well as those who would like to get professional clarity in their personal and amateur recordings. It is well-priced and not too expensive for the sheer features that it provides. The USB condenser mic has 3 capsules arranged in a neat array, such that its versatility is its greatest strength. The project allows multiple pattern selection for adjustment according to the actual usage for recording. There are four polar patterns that can be supported – omnidirectional, cardiod, bidirectional and stereo. There is a lot of control provided here, with controls for gain, mute, etc. The mic has a headphone output for zero-latency. The mic can be plugged for direct use in MAC OS and Windows machines, without the need to install specific drivers. Thus, the mic is suited for interview recordings, podcasting, musical instruments as well as vocals. It has a recording resolution of 48 kHz/ 16-bit and a two-year warranty. Not very easy to disengage from the stand and reassemble. It is a handy and compact USB microphone that has a gamut of uses with professional output quality. The multiple recording modes make it ideal for anyone to use. The plug-n-play is a boon. 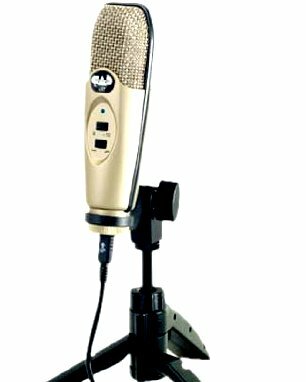 This is a versatile condenser type USB microphone that is good for recording singing as well as musical instruments in a studio. 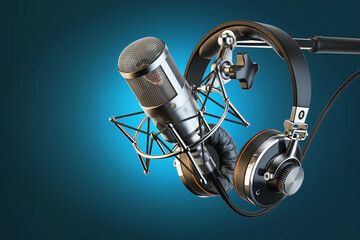 It is very useful in voice-over and podcasting applications as well. It can be used for Skype as well as gaming. 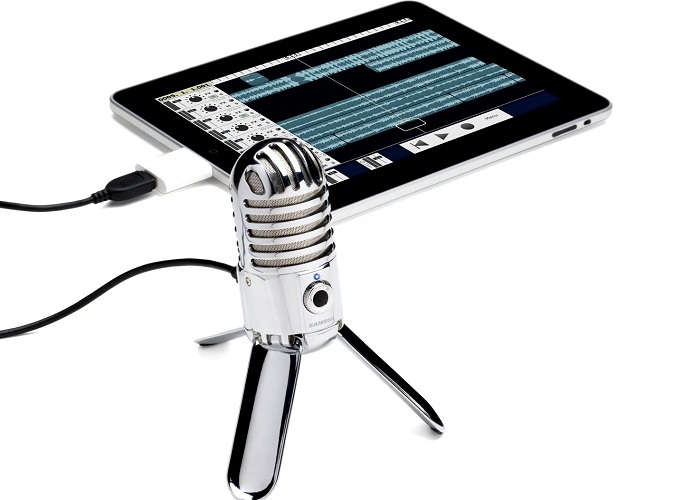 It is compatible with the iPad, with a USB connection adapter (like Apple Camera Connection Kit) and audio apps like GarageBand and RODE Rec, Apple Mac and Windows OS machines. It comes with a tripod stand, a pop filter shield, and a ring mount for practical use. The pop shield is aimed to reduce plosives, and the tripod stand with a stand mount allow the mic to be set up at a comfortable height for maximum benefit. There is a stereo headphone provided for zero-latency, so you can hear as and when the recording is ongoing in real-time, along with adjustment levels for the monitoring with the help of smooth dials and mixing of the mic input and the computer audio output. Its polar pattern is essentially cardiod. Its sensitivity and frequency response are suited to pick up the nuances of musical instruments. 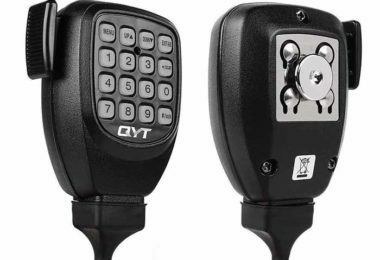 The product has 2-year extended warranty applicable after registration of the product. It is packaged very beautifully and is thus a welcome acquisition. Very good quality of sound reproduced by this mic. Due to its USB connectivity, it is quite easy to use. The pop shield is very handy as are the extra accessories for mounting. It’s a plug and play device, with no installation drivers needed. The stand does not fold to fit into the case. Hence it tends to get cumbersome. Additional shock mounts are not available. It is perfect for recording instruments as well as vocals in a studio, is handy and hassle-free to use. If, however, you are on the move, then it may get bulky due to its non-foldable stand. It is decently priced and its versatility and ease-of-use can give you professional quality audio, even for amateurs. 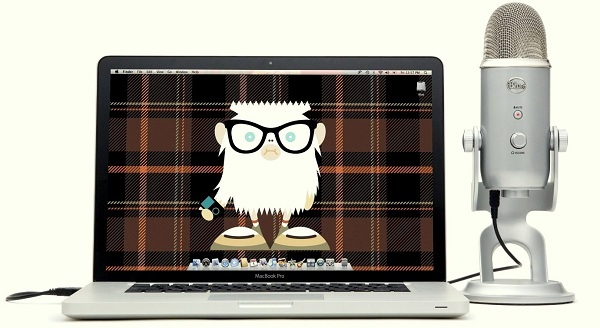 Blue Yeti Pro USB Condenser Microphone, Multipattern. The USB microphone has the distinction of being the first-ever device in the world that has combined a 24-bit and 192 kHz digital audio resolution with the XLR analog output, which goes a long way adding to its usage and versatility. It comes in a sleek black color. It can help you select the polar patterns dynamically with four patterns supported – cardiod, stereo, omnidirectional, and bidirectional. 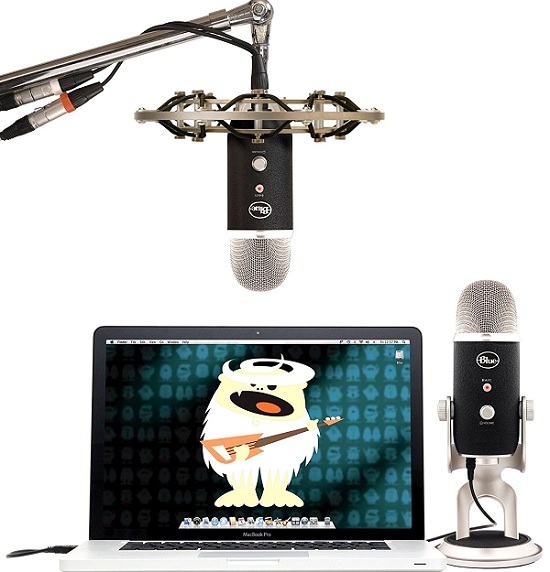 The microphone is a marvel from Yeti as it has three customizable condenser capsules. There is also a smart analog to digital converter chip and individual analog path for circuits so that the device can be used with mixers and preamps in professional studios. It comes provided with a sleek mic stand with a neat arrangement for cable. Also, there is an in-built zero-latency headphone. The mic has smooth control for pattern selection, mute, microphone gains and headphone volume levels. It comes with a 2-year warranty support. This provides a very high-quality output and also the great control for 4 different pattern settings is a wonderful practical feature to help you get the best sound pickups depending upon the situation of your recording. The XLR analog along with USB combination is quite handy. Yet, if it is only the USB that you are looking for, then the extra cost can be a dampener. This has been certified by Apple MFi (Made for iPhone / iPad / iPod) because it is directly connectable to any Apple device without the need of any external connector kits or adapters. It is very useful for zero-latency monitoring in real-time since it has the headphone output built-in. The microphone has 3 DSP preset modes for flat, vocals and instruments recording. Being a condenser mic, it has a customized and tuned capsule for a high quality of audio performance. The mic is intelligent and applies the factors of gain, EQ, compression and limiting as appropriate for the best results. The mic comes with a thread mount that can go with any camera tripod stand and a detachable desktop stand, and additionally, it has a MicroB to USB cable and a MicroB to Lightning cable. These are very useful accessories. It is a low-profile microphone. Its design is sleek and inspired by the vintage era. The round head is very intriguing and lends an artistic touch. This microphone is rugged and durable. It has intuitive features like digital recording and sharing via email, text, and SMS. The plug and play digital recording is very convenient with this mic. There is the support from the free app ShurePlus MOTIV mobile app that is used for recording and monitoring using all MOTIV digital mics. This is a good quality microphone that is budget-friendly as well. If you use Apple devices exclusively, then this one is perfect as it does not need you to purchase or carry external connectors around. It is suited for podcasting, video chats, and music, both for amateur use and studio use. This one looks very smart with its bright yellow head, a perfect contrast to its metallic black frame. There is also the bee motif border that is the signature of the brand. It incorporates the unique offering of Neat which uses pressure gradient and large diaphragm condenser microphone element in combination with a capsule membrane that is made of pure gold sputtered material of 6 microns and edge terminated. There is an external pop filter and a USB cable included with the Bumblebee mic. It also comes with a practical arm like a boom that can be moved around for adjustment and perfect positioning. There is a 24-bit and 96 KHz combination resolution for high audio output for this device. It has three mode selections by the use of simple switches, viz. vocal, music and neutral modes. The device has a headphone amp and gain control features. It can be directly plugged into a MAC or Windows machine and contains an in-built analog to digital converter. Thus, there is no need to install drivers for this device. The swivel arm makes it possible to place the mic as close to the source as possible. The package includes a Honeycomb pop filter as well. The bright colors and distinctive design may not go down well with everyone. 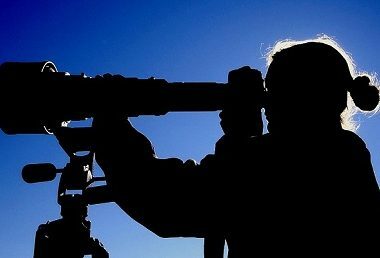 It may look out of place amidst sleeker and smarter equipment. The Bumblebee microphone is smart and versatile for all types of recordings, be it amateur or professional musicians, podcasters or even vocalists. A unique offering such that it is directly compatible with both MAC and Windows PC and laptops in a plug-and-play fashion, with no additional drivers needed to be installed. 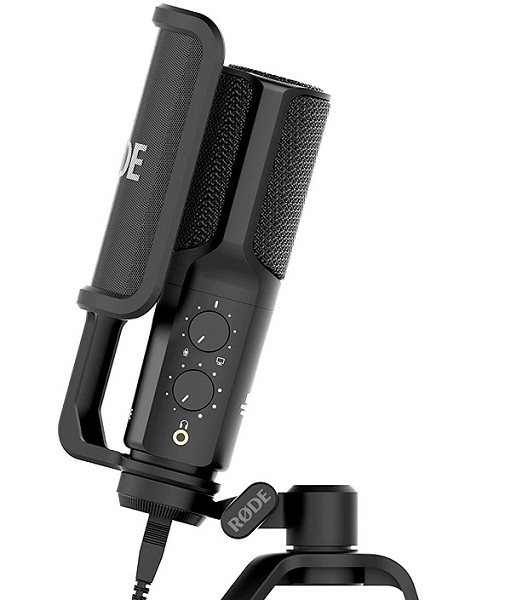 It is a powerful condenser mic that is portable.It is so light and easy to use as it can clip on the machine or even sit comfortably on a desk. It is a multipurpose USB mic as it is perfect for gaming, Voice Chat, web-casting, VoIP, iChat application. It is also quite professional for recording music, field recording as well as podcasting. The voice recognition software feature is well integrated with this microphone. The Go Mic device is an innovative product as it truly justifies its name and goes everywhere with you. The audio sound replicated by the mic is clear, true and very sharp. It has two polar pattern options that can be chosen with a simple switch mechanism. These include the omni and cardiod polar patterns, which can be adjusted as per the actual dynamic needs of the hour. For instance, the omni pattern is best for live jamming, online meeting with many members in a single room, webcasting etc. The cardiod pattern is the preferred choice for instruments like guitar, vocals or even while podcasting. The mic comes with a direct headphone output for zero-latency and real-time monitoring. This stereo headphone is 1/8”. The frequency response of the device is 20 Hz to 18 Khz. The recording resolution is 16-bit, 44.1 kHz. The freebies include useful accessories like a USB cable, carry case and a cable clip for a handy and practical use of the microphone. On additional purchase, the Samson Sound Deck Noise Cancellation Software can be used for removing background noise. This mic is true value for the money spent and is very easy to use. It is perfect for those who have a limited budget and are on the move or are looking for a single solution for many uses. A smart mic that has 3 legs like a tripod on which the silver chrome mic stands. It is a condenser mic with a large diaphragm of 25 mm. It has compatibility with iPad using a Camera Connection Kit or a Lightning USB Camera Adapter by Apple. The mic has a good recording resolution of 44.1/ 48 kHz and 16-bit. Its frequency response is also 20 Hz to 20 KHz for. The mic has one pattern – cardiod. There is a stereo 1/8“ headphone jack for real-time monitoring with zero latency. Its leg can be folded back. The mic is smart and the shiny finish looks appealing. It is very portable too. A headphone volume knob is quite handy. The mic comes with a USB cable and drawstring velvet carry pouch. Because it has fold-back leg design, it can perch easily on the desktop. It uses voice recognition software, Skype, iChat, and is perfect for podcasting as well. Standing tall, it is just over 6 inches and when folded, it measures about 4-inches. Musical recording quality is not that good. It is a nice microphone for amateur use and voice with great quality of sound. Yet, it is not so good for professional studio recordings, especially for music. If portability is your main concern, then this works out well for you. It looks nice too. It has minimal control for easy use. It is great for adding narration and voice based recordings. It is an impressive and solid microphone with a large condenser element. A protective overload protection mechanism of 10 dB is very useful to reduce distortion as in the case of loud sounds. This is a focused microphone with a cardiod polar pattern for pick-up. It targets the main source and thus removes background noise. The USB mic is compatible with Windows and MAC OS. It goes into the USB port and requires no special driver installation software. The plug-n-play is a practical feature that makes the usage of this mic very useful. It is a versatile mic suitable for vocals, instruments, voice and music. It comes bundled with a smart and useful tripod stand and a USB cable as well. The device aims to bring studio-level quality to homes for gaming, podcasting, video chatting, social media etc. It has a great frequency response over a large spectrum, a transient response and smooth interpretation, designed to make your recording experiences smooth. It has a bass roll-off switch for noise reduction as well. This is a good sound quality USB microphone for laptop, best suited for recording in enclosed room with very low noises. Good for all types of vocals, music and other uses. A USB Microphone is a microphone that uses the industry standard USB for interconnecting electronic devices. A USB microphone for laptop or tablet connection is gaining popularity nowadays and is well suited for podcasting. They normally adjust well with spoken voice, but recently they are also being used increasingly with singing. They are hot favorites with radio stations and can be great buddies for voiceover jobs as well. A USB Microphone will work well for you if you need a highly portable device, as this is its biggest advantage. And it is very simple and versatile to use, as a single port connects it to the computer, doing away the needs of bulky external preamp or sound cards. Hence in this sense, a USB Microphone is very convenient. If you need to record spoken sound snippets as in interviews, this is perfect for you. If however, you are looking at USB Microphone for studio recordings, there are now many versions available that may suit you. Unlike a normal microphone that needs external paraphernalia like a microphone preamp, mixer, and amplifier, a USB microphone has everything combined in it. This includes a built-in feature for the preamp as well as a converter for analog to digital signal conversions. The features of a USB microphone also include a frequency response, that is customized to handle the spoken word, such that there is a roll-off above 15 – 16 kHz and at 9 – 10 kHz, there is a presence peak. This allows for equalizing effect for voice at higher frequencies. These devices have an inbuilt digital interface, doing away the need of buying a separate interface, so its works out good for convenience as well as the pocket. Since there are non-controllable gain levels with these devices, they can pose a problem with the quiet type of low sounds. Also, some USB microphones have headphone jacks fixed directly on them to ensure zero latency. There are normally many polar patterns that can be used in a USB microphone. Polar patterns govern how the microphone can pick up sounds, as they govern the sensitivity field of the device. There are specific positions that are audible to the mic and certain positions that are blocked. Hence understanding the polar patterns can help you map the microphone to your own usage scenarios and help you make the right choice. This allows the microphone to accept sounds from only the front and drop sounds from any other direction. 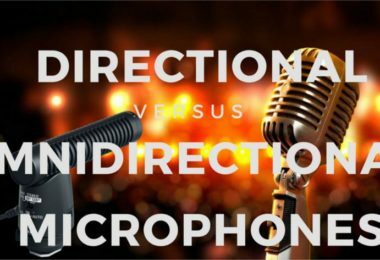 The ambient rejection is high and thus this type of microphone is best when it is guided to the source of a sound, ideal for live performances to making music. The unwanted noise can be cut off very effectively with cardiod patterns. However, when held too close, they may add unwanted coloration. These patterns have narrower fields of sensitivity and are more directional than the cardiod pattern. Thus, they have enhanced the ability to reject noise and feedback. Hence, they are robust for noisy environments such as open stages, unsophisticated recording rooms, and loud sounds. One disadvantage is that they have very sensitive rear loops of the pattern and thus it gets a practical challenge for them to block unwanted sounds from the back like drum kits. As the name suggest, this pattern allows the microphone to pick up sounds equally well from every direction. Thus, this produces a natural type of sound and there is no rejection from any side. Any place where the sounds are well-coordinated and the acoustics are very clear is the perfect choice for this type of pattern microphone. This is also the reason why they can be used to effectively pick up multiple instruments when the noise is low. However, for loud noises and open stages, these are a complete no-no. This pattern allows the microphone to have the ability to pick up sounds effectively from the front and rear, but not from the sides, just like the figure of 8. Hence the bi-directional nature of the pattern is perfect for multiple instrument capture or two-way singing. This pattern is very narrow and extended and thus allows the microphone to have focused directional ability, with a long range for pickup and high rejection areas. Thus, they are ideal for sporting events and live broadcasts and overhead room sound capture, since they can be used to block high range of noise and pick up sounds from a distance. However, their sound quality is limited. A practical addition to USB microphones available today is the option to switch between multiple patterns that are supported by a single device. This makes it more versatile to suit multiple types of needs. Yet others allow you to change the head of the microphone to switch the polar pattern. Condenser type of microphones, suited for studios as well as home use. 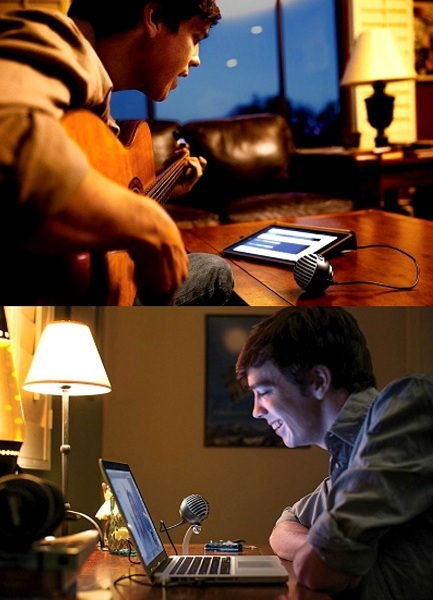 Dynamic microphones, apt for home or personal use, say for singing live. Portable USB microphones that go well with personal devices on the move like PC’s laptops or tablets and even Apple iPads. 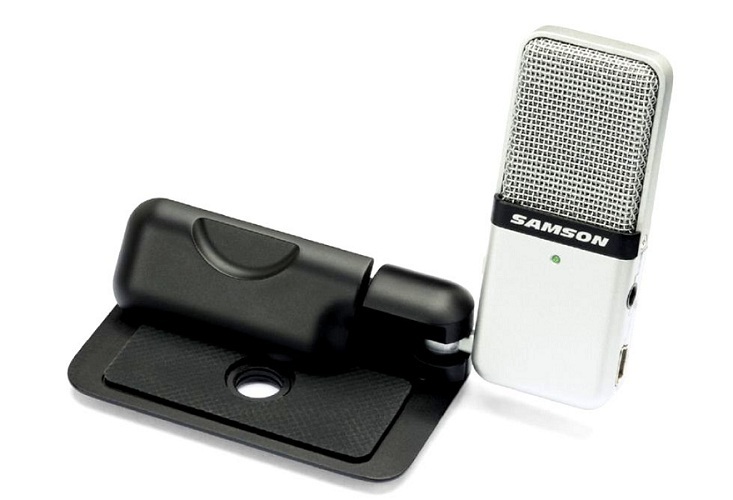 Professional USB Microphones for wider use in studios and beyond. Low profile microphones, suited for interviews and recording conversations. This is measured in kilohertz (KHz) and is a formal name for the speed supported by the microphone. A sample rate of at least 44.1 KHz is generally recommended to be able to capture all types of sounds audible to the human ear. This is the minimal speed that must be supported by your USB microphone. This is a measure of the digital encoding resolution capacity of the device, in terms of the number of bits of information contained in each sample. It is recommended that the microphone supports at least 16-bit depth, which is the standard for CD’s as well. Some devices even have 24-bit support. This is the time delay between the sound hitting the microphone, getting converted from audio to digital signal and being replayed via a monitoring equipment. A lower latency obviously means a better quality of the USB microphone, especially if you want to multiplex a new recording whilst listening to an earlier recorded soundtrack. This means how good and clean sound can be produced by the microphone by enhancing bass frequencies. In excess, it can cause unnecessary and noisy sound effects. This is the power needed for condenser type of microphones, but not needed by dynamic ones. This is a measure of the sensitivity of the microphone. A higher sensitivity means that it is able to pick up low and quiet sounds. The unit for quantifying SPL is decibels and the SPL capacity refers to the maximum sound levels that can be picked up clearly by the microphone, and are thus opposite to the sensitivity. This specifies the range of frequencies that can be picked up by the microphone. A device meant for vocals must have 80 to 15 Hz, whereas those for drums can be 30 or 40 Hz. This is the plot of the microphone’s response to the various frequencies. A graph plot with spikes and dips is a good mix for a versatile range. How to Decide the Best USB Microphone for You? Check out your application needs. 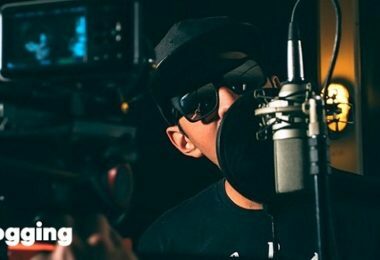 Whether you will need the microphone for live sound, interviewing, studio recording, vocals or instruments is important to understand. Check out what range of resolution will fit your requirements. Here the sample rate and the bit rate are important parameters to consider. Consider the size: There are powerful microphones that can simply be clipped on and yet others that can be mounted on a stand. If you travel a lot, small and compact is what you need. Let budget be a practical factor to help you decide. Most of the USB microphones are pocket-friendly, yet the price point is important so that you keep you get maximum returns from your investment. Do you Need a Pop Filter for This? A pop filter, as the name suggests is a protective filter to be used with microphones, to blot out the ‘popping’ sound. These unwanted sounds may be caused due to the movement of air or the wind over the microphone whilst singing or recording. At the same time, the pop filters can check the accumulation of moisture on the head, which may lead to an organic growth of an ugly mold. Also, it can protect your device from the unwanted accumulation of saliva on the element that has the ability to corrode the metal of the element, causing damage. Whether you need a pop filter along with your USB microphone can be best determined by the nature of use. 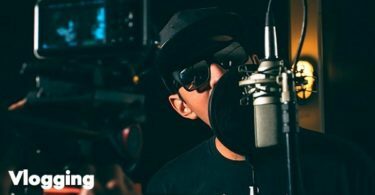 It is generally recommended if you intend to use the microphone in a recording studio or even for live recording, especially if you are on the move and may face air movements. Some microphones have an inbuilt pop filter, although these are more popular with the condenser type of devices. At times, the manufacturer provides the pop filter additionally at a nominal cost to help you increase the output and life of your microphone. Many of the microphones come with pop filters as complementary accessories in the kit as well. Do check out the options available for you! There are so many claimants to the cheap USB microphone in the market the best USB microphone for gaming may not fit into the category of the best USB microphone for voice over or the requirement for the best USB microphone for podcasting. Do not fall into the trap of going for only the cheapest of the fanciest looking model. 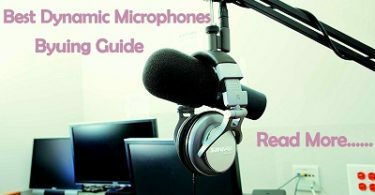 Hopefully, this guide will give you a comprehensive list of the popular and high-performing USB microphones, enabling you to zero in on the device that is the best possible for your specific need.